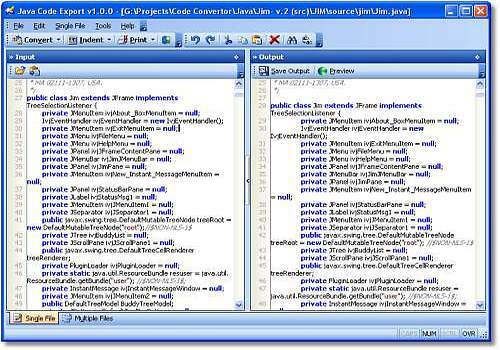 Java Code Export is a unique and easy to use software to quickly and easily reindent, export (10+ formats supported) and print your Java documents. Convert your Java documents to PDF, RTF, images and more! With the Java Code Export, you can : Format / Indent your Java code Convert your Java code to 10+ formats Print / Create advanced reports using a state-of-the-art printing engine and much more!